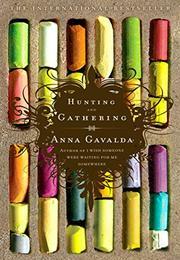 Three oddballs form an alternative family in Paris; its warm heart and youthful vibe have made Gavalda’s novel, originally published in France in 2004, a bestseller in that country and elsewhere. Camille Fauque has hit rock-bottom, living on the streets, when a friend finds her shelter: a tiny maid’s room in a grand old building in a ritzy Paris neighborhood. The skeletal 26-year-old is weighed down by life’s miseries; once a talented artist, she now cleans offices after hours. Her salvation is a neighbor. The timid, gangly, stammering Philibert is no better at coping with life than Camille (he sells postcards), but the kind-hearted aristocrat recognizes a damsel in distress and installs her in his magnificent apartment, which he’s guarding until an inheritance battle is resolved. Philibert already has one roommate, who uses the place just to bed his many girlfriends. Franck Lestafier is a talented if inarticulate saucier at a top-of-the-line restaurant; he cares only for his motorbike and his grandmother Paulette, who raised him. The frail old lady has just been moved into a retirement home, which she hates, and Franck finds his weekly visits there torture. Nor is he happy about the arrival of Camille: “She’s skinny, stupid, pretentious, and as weird as my roommate.” The thaw begins with their shared enjoyment of a Marvin Gaye album. Then Franck has her help out at the restaurant on New Year’s Eve: She’s a sensation. Only much later, in long monologues, will Franck and Camille reveal their troubled pasts. The “family” becomes complete when Camille moves sweet-natured Paulette in with them; she has quit her job to be a caregiver (she’s also started drawing again). Will Franck and Camille become lovers? Of course, but Gavalda (Someone I Loved, 2005, etc.) rings changes on this predictable outcome, and sentimentality is held in check by Franck’s habitual gruff profanity. A charming account of achieving happiness against the odds.